2T - $40.99 Only 1 left! Do you ever feel like you could use some help when you have your hands full fighting off bad guys that threaten your neighborhood? Do you get tired of having to battle monsters day in and day out? Do you just want to spend your weekend relaxing on the couch, while someone else puts Galvanax in his place? Well, maybe it’s time you called in some reinforcements. Maybe it’s time you recruited your child as a superhero alongside you! Maybe it’s finally time to teach him how to be a Power Ranger! 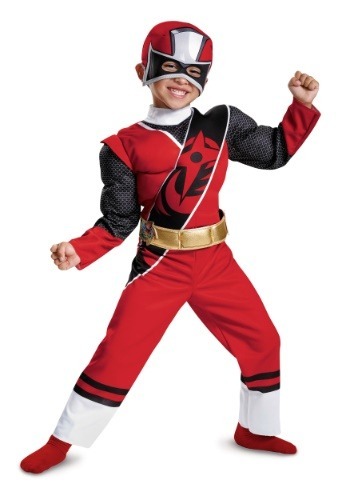 It’s never been easier to turn your toddler into one of the Ninja Steel Power Rangers, because this toddler Ninja Steel Red Ranger costume comes with everything you need (except for a Zord). 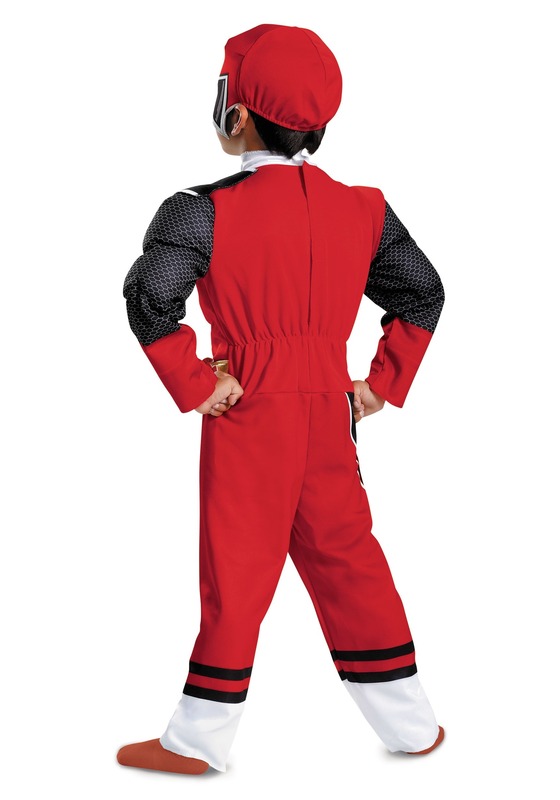 The included jumpsuit has muscle padding in the chest, giving your child the look of a buff hero. It also has an attached sash on the shoulder, which has a ninja shuriken design. The gold belt around the waist adds extra flair and of course, it comes with a helmet to complete the look. He’ll be ready to stand by your side as a mighty Power Ranger. Just make sure you teach him all the right moves of a Power Ranger. He’ll needs some ninja skills to fight against the bad guys and you might want to let him know that your car is not a Zord, otherwise he might hop inside thinking it’s his might think that it’s secretly his new Robo Red Zord.